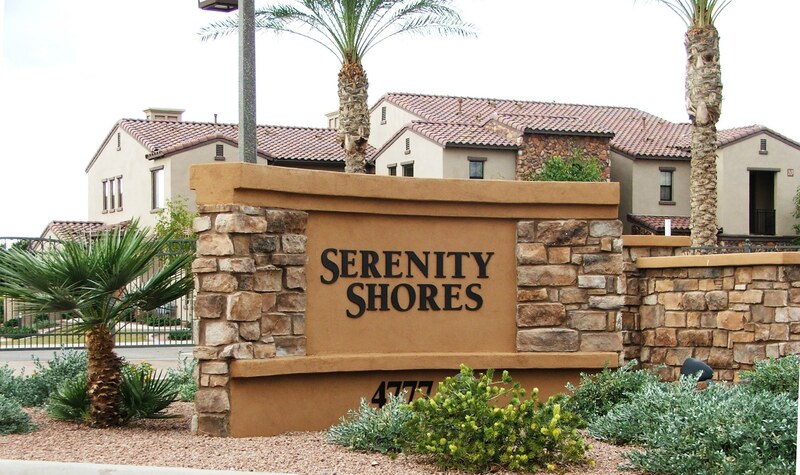 Serenity Shores is one of two Cachet developments in Chandler’s lake community, Fulton Ranch. Originally, 185 units were planned, but trying to build out during 2006 – 2008 as the market was falling proved to be an over-whelming task. Currently, 56 units are complete. Sales have improved in 2010 with 11 sales year to date and three currently pending. The remaining land was taken back by the lender in April 2010 as well as the unsold units. Once the remaining spec units are solds, sales in Serenity Shores will be resales. 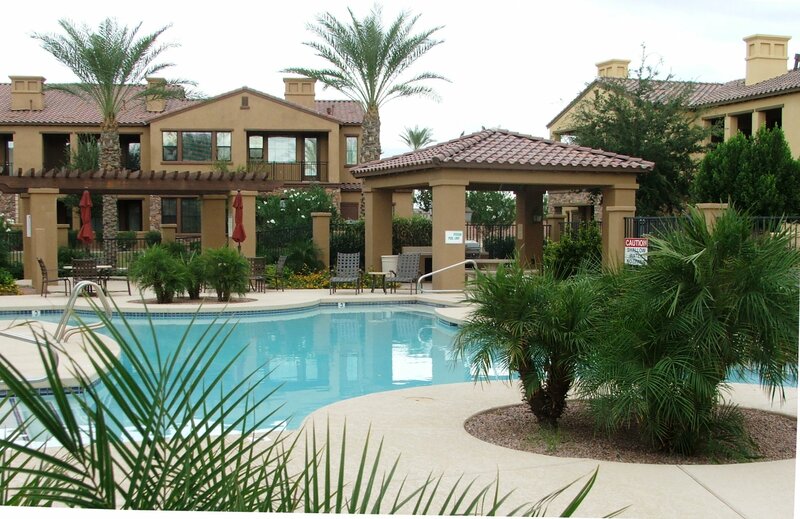 Serenity Shores offers some of the most complete amenities of any gated Chandler, Az. luxury condo community. This gated community features a heated pool, hot tub, 2 ramadas with gas grills, a fitness center, clubhouse with large screen tv, billiards, fireplace & full kitchen amenities. This is definitely a turn-key vacation or second home option. Almost 30% of the year to date sales in 2010 have been to Canadian buyers. 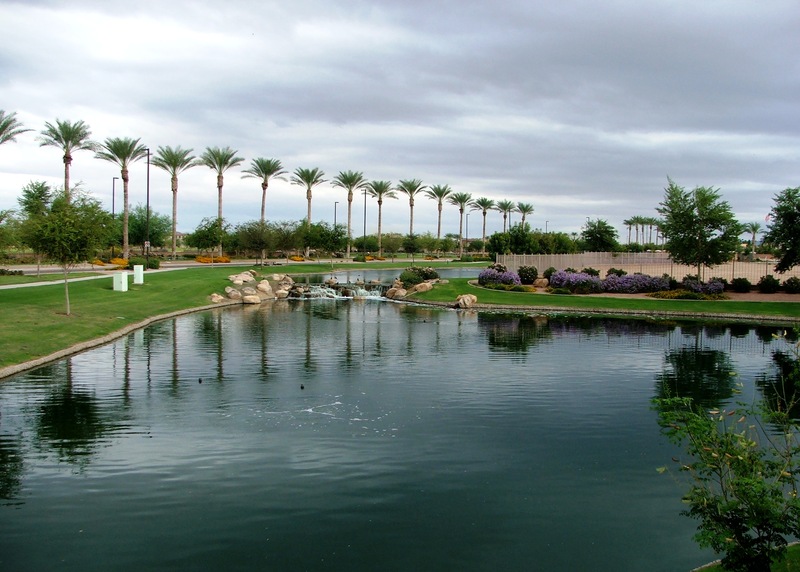 Serenity Shores at Fulton Ranch, located in south Chandler, benefits from its proximity to shopping at Chandler Fashion Center, golf courses including Ocotillo Golf Resort, and the Snedigar Recreation Center. Since Serenity Shores at Fulton Ranch was built between 2006 – 2008, the architecture, floor plan layouts, and interior finishes are updated with many contemporary upgrades. For more information and updated listings in Serenity Shores, feel free to contact me or click on Serenity Shores automated listings. Welcome to luxury & low-maintenance resort-style living in the heart of Chandler's most desirable master planned community of Fulton Ranch. 2 Car Garage provides direct entry to stairs, once upstairs the 2 bed/2 bath unit is all one level! Open great room concept has modern kitchen, granite, wood look tile & upgraded finishes throughout. Large living room balcony w/oversized tinted double slider door provides views of the meticulously maintained common areas. Garage features epoxy flooring & cabinets. In the A+ Chandler school district w/neighborhood Fulton Elementary & nearby Price Corridor employers. Add to that - the best shopping, dining & entertainment in the SE Valley! Gated lake community includes Heated Pool, Spa, Fitness Center, Rec Room, outdoor living areas w/fireplace & BBQs. Welcome to high-luxury and low maintenance resort-style living. 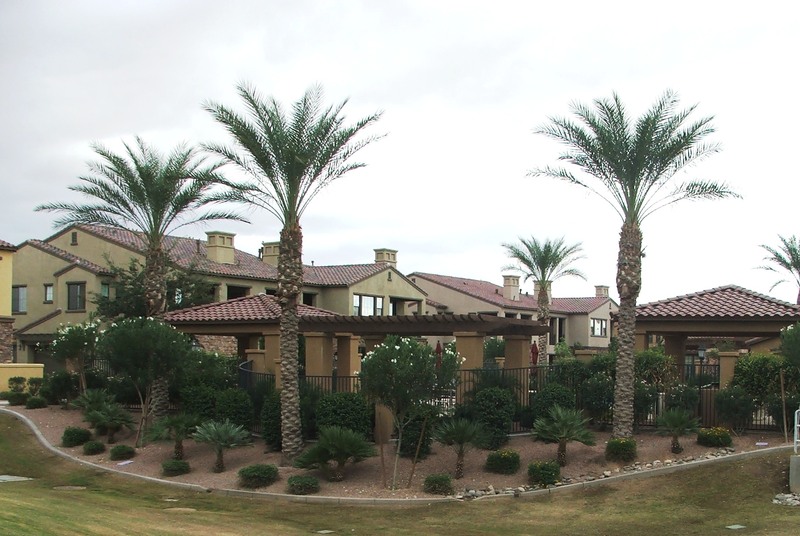 Incredible single-level 3 bed 2 bath condo in the GATED Serenity @ Fulton Ranch. Modern bright kitchen, baths, granite, premium flooring, upgraded finishes with large windows throughout. Direct access 2-car garage. Luxurious master suite with spa-like bath and walk-in closet. Large great room features an expansive balcony with courtyard and pool views. Washer, Dryer and Refrigerator INCLUDED!! Gated community amenities include Heated Pool, Spa, Fitness Center, Rec Room, and walking trails throughout. Enjoy a wide array of restaurants, shopping, salons, commercial services and outdoor recreation within walking distance. Fantastic Location! Complete Lock & Leave Community. MUST SEE TO APPRECIATE. Luxury gated community with low maintenance, surrounded by a beautiful lake. This upscale townhouse offers 2 bedrooms l 2 full bathrooms l private balcony in the master bedroom and living room l 2 cars garage.The community features a Pool/Spa, fitness center and much more. This Home is Luxury and Low Maintenance at its Best! Upscale Condo in the heart of Chandler's Most Desirable Location! Gated for Security - Beautiful Lakes - Close to Shopping - Schools - Chandler's ''Silicon Valley'' - Luxury Club House with Fitness Center so you look good basking in the Sun by the Pool/Spa. Patio looks out to Ramada with built in BBQ for entertaining! Mediterranean Style with Enclosed 2-car Garage! Den does have a closet - could be converted to guest bedroom. Two Master Bedrooms! Enjoy a leisurely breakfast or your favorite beverage from the balcony overlooking a babbling brook and pond in this Serenity Shores end unit townhouse. Great room features cozy living space with a gas fireplace and is prewired for surround sound. With an all stainless-steel kitchen including refrigerator, gas range, dishwasher and microwave accented by granite countertops and breakfast bar. Master bedroom offers its own balcony. You'll fall in love with the master bathroom garden tub and oversized shower, not to mention the nearly 2 miles of hiking and biking trails throughout Fulton Ranch, and convenient dining and shopping within walking distance. Fulton Ranch homeowners who are experiencing a financial hardship and may be considering a short sale, click on Serenity Shores Short Sale Assitance. Previous PostPrevious Scorpions in Arizona – Most everything you wanted to know and some things you didn’t!